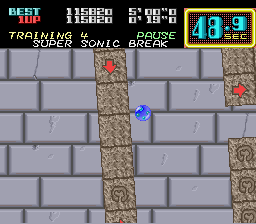 Have you ever been playing On The Ball and got tired of seeing that blue marble hurtling through the mazes? Yeah, they look kind of funny, but it's nice to have a change of scenery once in a while. Krusty's Super Fun House, like pretty much all the Simpsons games, is pretty tough. 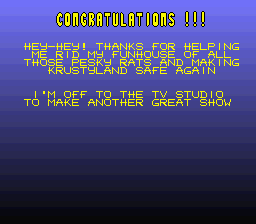 You have to take Krusty on a tour of the rooms in his Fun House to rid it of an infestation of purple mice. It's a puzzler, of sorts. But say you get tired of the puzzles, or you just give up. 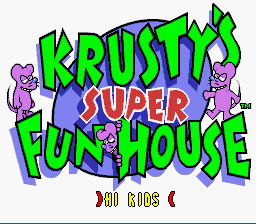 You could start the game over and change the default password of "HI KIDS"
Which will let you enter any door in the Fun House you want. So just enter and immediately leave all of the different areas to instantly clear them. 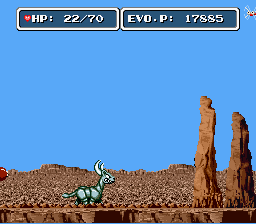 Then, head to the exit and marvel at how such a tough game could have such a lame ending. 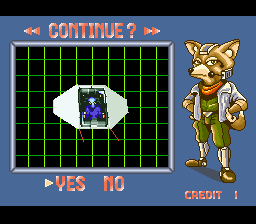 I loved playing Star Fox when it first came out. A game that did full 3D on a non-3D system? You betcha! Which features a 3D model of your ship rotating around. If you grab Controller 2 and start pressing buttons, the model changes to that of the various ships and enemies throughout the game! Which you can rotate and zoom around to your heart's content. And yeah, I know that this doesn't sound like much. But after losing a particularly difficult space battle, it's nice to be able to unwind for a bit before you tackle it again. 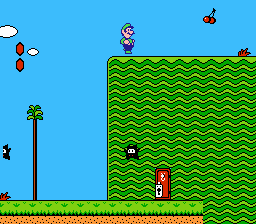 In Super Mario Bros. 2, you can skip large amounts of the game if you're so inclined by using the jumping abilities of The Princess and Luigi. Take Stage 1-2, for example. 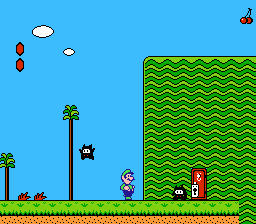 Instead of going down the Jar to grab a key, unlock a door, and go through a cave, you could choose Luigi and head for the Ninjis that are standing near the door. Pick one up and chuck it so it lands somewhere underneath the real high green mesa. Hop on its head and begin charging for a Super Jump (by holding Down) and hit the Jump button when the Ninji is at the apex of its jump. Done right, you'll be on top of the hill! And ready to run right to the end of the stage! 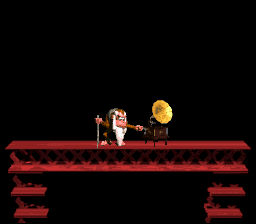 Cutting this stage down to just a couple of minutes. 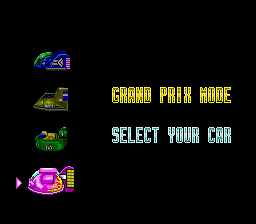 In F-Zero, you have four hovercars to choose from. All have slightly different stats in areas like top speed, accelleration, and 'grip'. 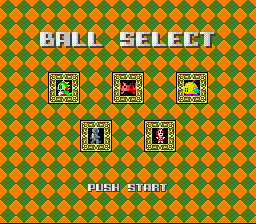 But they have another attribute that isn't shown on this screen: they start in the same order every time. So what that means is that every race, no matter what position you finished in, the Fire Stingray (the pink car) will always begin the next race in the pole position. Add to that its good 'grippiness', and you have a great car for beginners. 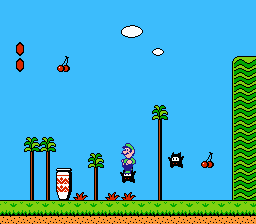 In the original Super Mario Bros. game, once Mario gets Fire Power, all kinds of weird things become possible. For instance, find a pipe or the beginning of a stage that isn't a water stage or underground, and before the stage starts or you come out of the pipe, hold a direction (either one will work) + Fire + Jump. Done right, you'll jump up and then hit the ground sliding on one foot. This will wear off after a few seconds, or if you shoot another fireball. 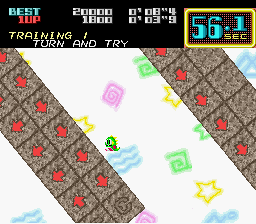 And I haven't really been able to find much of a use for it, other than making Mario look foolish for a few seconds. But maybe you can. 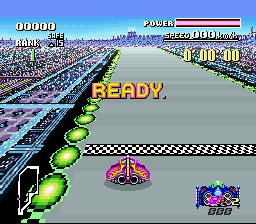 The red shells in Super Mario Kart are pretty useful, mostly due to their homing capabilities. The shell will keep orbiting around your opponent until he moves or the shell hits something else on the course! Of course, I was never able to find much of a use for this, other than it's something that looks kind of neat, but maybe you can. 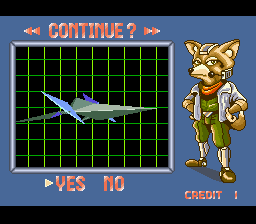 Most of the actual gameplay in E.V.O. 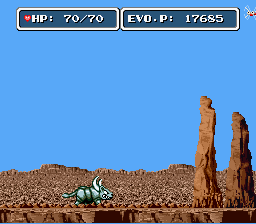 isn't all that hard... but then you come to the bosses, and they're way bigger, stronger, and more maneuverable than you, which hardly seems fair. But you have one weapon on your side, your Evo menu. And when the process is complete, full health! Any minor change will do it, so it's usually a good idea to stock up on E.V.O. points before facing a tough challenge. 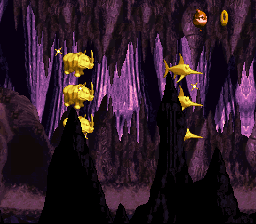 In Donkey Kong Country you have these animal helpers that you can ride, which kind of give a little variety to Donkey Kong's banana-hunting exploits. 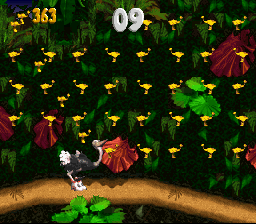 And each of those animals has their own bonus stage where you have to collect lots of emblems that look like the animal that you're riding. But getting there takes a lot of work, and they're kind of rare. So you may not be as practiced as you want to be when it's Game Time(tm). Well, you could go to the Intro sequence. From there you just collect the complete set and begin your bonus stage! And you can do this as often as you want, so practice away! 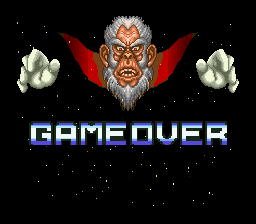 One of the things about playing arcade games is that you don't really have much guidance to tell you the ins and outs of the game. So, when I got the Super NES version of Turtles in Time, I was surprised to learn that there was a move in the game that I didn't know about, a shoulder tackle. The instructions in the manual were kind of vague, but I was eventually able to figure out what to do, and I'm going to share that with you today. Then, the instant that completes, press the Attack Button to do your shoulder tackle! And, since it's kind of tough to follow along with just my description, I've provided an animated .gif for you here. 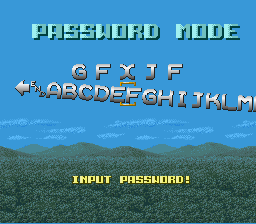 And, yes, this does work on the arcade version.